Summertime in Macomb County is always an exciting time of year. As the days get hotter and longer it provides us with the perfect setting for outdoor fun. Here in Macomb County we are fortunate to possess many quality of life assets which provide residents, visitors and business with an opportunity to explore and appreciate our natural settings. Whether it’s spending the day on Lake St. Clair, participating in a children’s day camp, taking a stroll on our 155+ miles of trails, or hitting the links on any of our 26 golf courses, the options in Macomb County are endless, and the fun is right at your doorstep. Also don’t forget to take a look at the full schedule of concerts and events happening at Freedom Hill this summer. The park is in great shape this year, so head over to www.freedomhill.net and see what’s in store. Another one of my favorite things about this time of year is all the activity and beauty showcased by our many agricultural assets. With more than 500 farms in Macomb County, the summer months usher in a season filled with hard work and amazing products. Here in Macomb County we have dozens of local farmers markets and farm stands that sell locally grown flowers and foods. With a little help from our agricultural friends, you can spruce up the curb appeal of your home with some fresh flowers and even put the finishing touches of the perfect backyard barbeque.  Here in Macomb County we have put together a number of resources that can help you keep track of all the fun and excitement. It all starts with Make Macomb Your Home. I encourage all of you to visit www.makemacombyourhome.com, and see where your next adventure begins. Here you will also find links to our Facebook and Twitter feeds which provide a calendar of events and continuous updates of what’s happening. Also, I just wanted to let everyone know that this summer Macomb Matters is going on a little vacation. The newsletter is taking a break until the fall, when we will be back to get the kids ready for school and apple picking. I hope each of you enjoy the rest of your summer.